These $2 Gold Kangaroos are struck in a half-gram of 99.99% pure Australian gold and will make a great addition to any collection. Gold has been coveted throughout human history. Now you can claim your right to own it in these convenient legal tender Brilliant Uncirculated (BU) coins. Today, the Perth Mint is the longest continuously operating Mint in Australia. And, it's still striking gold mined in Australia. 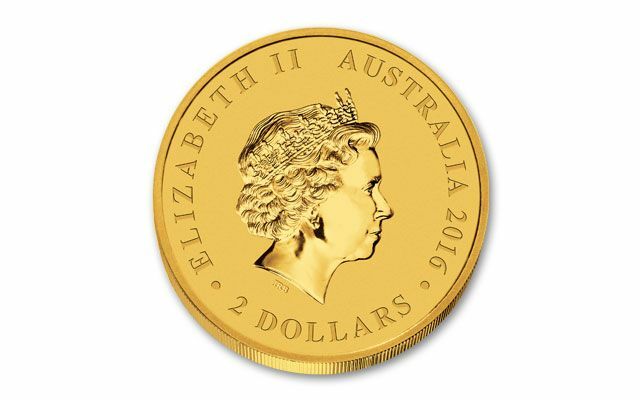 These $2 Gold Kangaroos display Australia's iconic kangaroo and a portrait of Her Majesty Queen Elizabeth II. 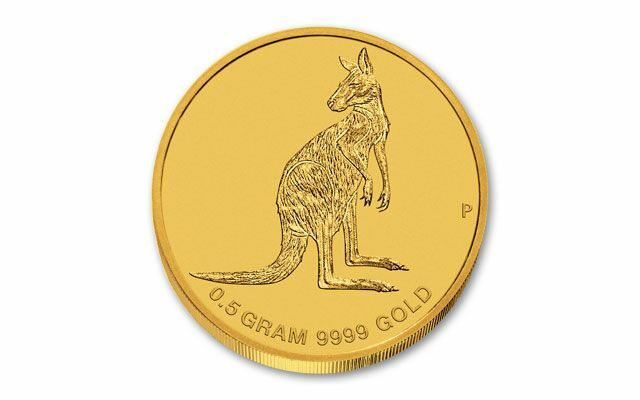 Each $2 Gold Kangaroo is legal tender in Australia and struck in a half gram of the precious metal, a convenient size, and an affordable way to own gold. And what gold it is! Because of their world-renowned expertise, the masters at Perth are able to refine and strike the gold into coins with 99.99% purity. This "Four Nines" gold far outstrips the purity of other gold coins, where 99.9% is the standard. 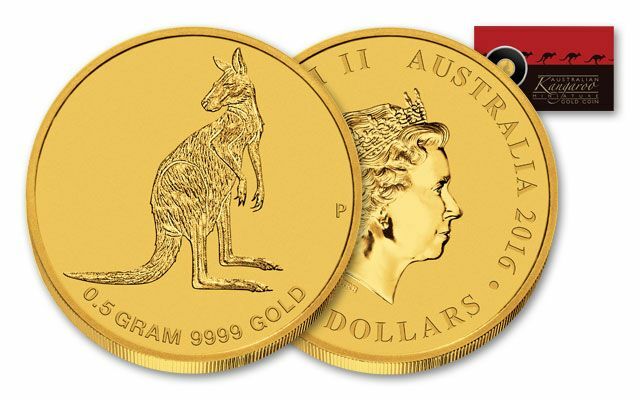 This 2016 Kangaroo is the only half-gram gold coin being released by the Perth Mint this year, and features a one-year-only design. Each coin is in Brilliant Uncirculated (BU) condition and is sealed in an acrylic holder and a colorful card. Throughout human history gold has represented wealth and security. Those who own gold have a portable store of wealth that can be carried with them anywhere, any time. Around the world, in Europe, India, China, buying gold on a regular basis is a way of life. 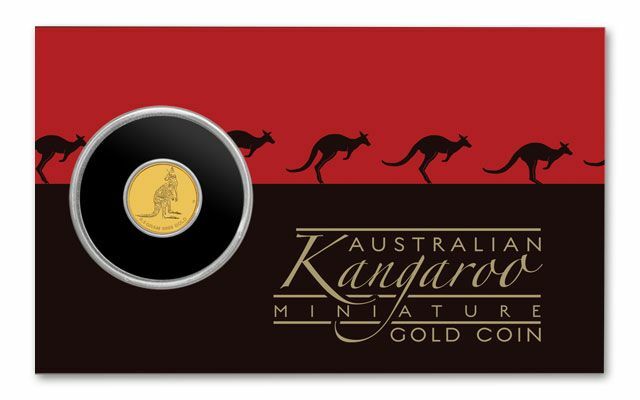 Don't miss out; start ordering you gold today with these $2 Gold Kangaroos from the Perth Mint.